About: Taste the Caribbean heat! You’ll feel like you are a world away when you enter Chez Olga. Located inside one of the most unique buildings in the city, the menu is full of spicy Haitian dishes. At first glance, the menu may not seem particularly vegan, but you just need to know how to order. 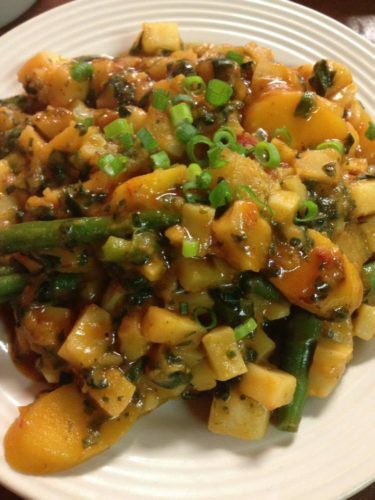 Try the plantain appetizer, a traditional Caribbean dish. 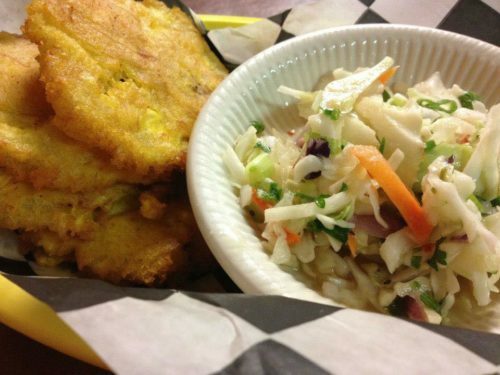 Unripened plantains are smashed into a patty, fried, and served with a side of (really!) spicy coleslaw. Both are vegan. You can also try an appetizer called Accra (fried root vegetable) served with a creole dipping sauce. Since the majority of the base sauces are vegan, just about every entrée becomes vegan with the substitution of tofu. 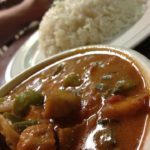 You can coose from a wide variety of dishes, including gumbo, fried rice, and jambalaya. There is also a “Potato Lasagna” which isn’t at all lasagna in the traditional Italian sense. 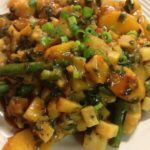 A plate full of potatoes, green beans, greens, root vegetables, and onions come in a spicy sauce that is delicious. 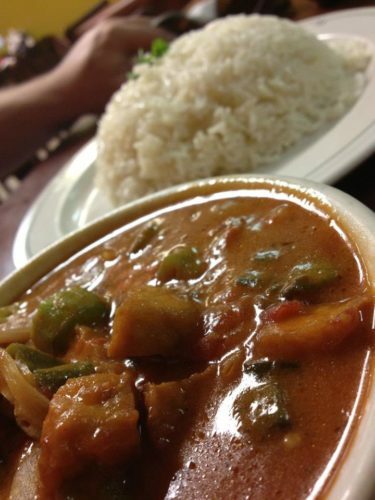 One of our favorites, is the Gumbo with tofu, which comes with a side of white rice. Hands down, our favorite Chez Olga dish is the Creole Tofu. We get this for take out at least once a month and will never tire of it. Spice level is a personal choice, but Chez Olga offers some of the spiciest food in the city. The scale is 0-10, and we stress, it’s no joke. We don’t do spicy, so we order zero, and it’s enough for us! If you dine in the owner and chef, Olga Benoit, a native of Haiti, is likely to visit your table. She always smiling and is eager to chat about the food, Haiti or anything! Sshe’s passionate about her cooking, her culture, and her customers. 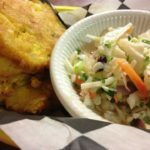 Her restaurant offers up one of the most unique and cultural experiences in Grand Rapids and should not be missed!